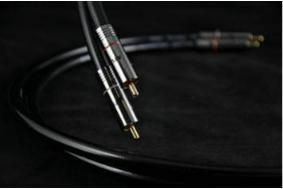 Atlas introduces high-end digital audio cable | What Hi-Fi? "The hitherto highest performance insulator, solid PTFE, has dielectric constant of around 2.1 whilst the new Microporous PTFE foam improves this figure to around 1.5, providing for a 30% greater signal velocity and better signal integrity, particularly in the area of high frequency timing and stability." The central conductor uses a monofilament conductor and 18 strands of super pure copper wire, insulated by the Microporous PTFE. Outside this is an aluminium mylar foil and oxygen free copper braiding, the cable being sheathed in a PVC jacked damped with cotton yarn. Atlas says of the new cable that "With a termination impedance of almost exactly 75 ohms at 1 MHz and a low conductor-to-conductor capacitance of around 50 pF per meter the new Mavros digital interconnect perfectly matches consumer digital audio equipment to ensure error free transmission of fast digital data signals. "The results can be heard as quite remarkable improvements in the timing and dynamic range of musical performances where the 'smearing' of lesser cables simply disappears." The new cable is available with BNC terminations at £180 for a metre length, or with 'Atlas direct silver plated OCC copper, non-compressing, double screened, self cleaning RCA plugs' at £285.